Agenda details will be updated continuously. We’re proud to present some of the most dynamic speakers the nonprofit sector has to offer. We’re working hard to create another stellar lineup and will continue to update our list of speakers. Our Call for Speakers submission process is now closed. If you are interested in speaking, please contact us to inquire about available sessions. Sam is the Director of Consulting Services at Tech Impact, a US based nonprofit providing support to the global nonprofit community. In this role they oversee a 10+ person team helping nonprofits change the world through technology. The consulting group supports hundreds of nonprofits every year as they make decisions about their technology strategy, build data systems, understand their data, and create new software to directly help communities. Sam’s responsibility is to help the nonprofit community think creatively about technology and find ways to harness it for true social change. They have a technical background and have expertise in Office 365, Cloud Infrastructure, Artificial Intelligence, Machine Learning, Salesforce, and other data and infrastructure related areas. 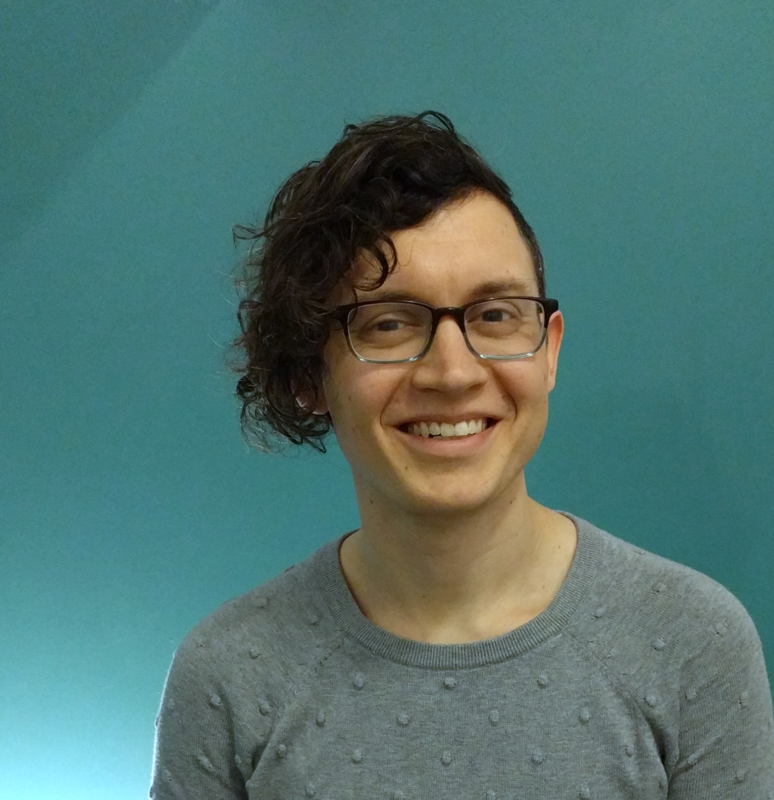 Sam has had 10 years of experience working to create systems change in the nonprofit community. They have a BS and MS in Information Systems and live in a communal home in West Philadelphia, United States of America. 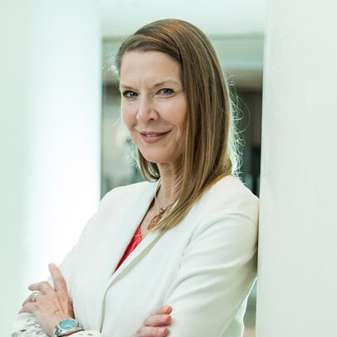 Kristin M. Tolle, Ph.D. is the Chief Data Officer in Microsoft’s Tech for Social Impact team where we design and build cloud-based, AI-enabled solutions for non-profits. She is also a Machine Learning lecturer and Senior Data Scientist at the eScience Institute at University of Washington. Dr. Tolle has held many leadership positions in Microsoft’s Engineering organizations, from Visual Studio to our Artificial Intelligence product team. Most of her career has been in Microsoft Research building and managing research initiatives from biomedical computing, natural user interactions, environmental science and data science. She has over 15 patents in software development and medical sensors and devices and was the co-editor and co-author of the earliest books on big data, The Fourth Paradigm: Data Intensive Scientific Discovery. Art delaCruz is the President and Chief Operating Officer for Team Rubicon, the only non-profit disaster response organization that utilizes the skills of military veterans to rapidly deploy emergency response teams. In giving veterans an opportunity to continue their service, Team Rubicon provides them with a sense of purpose, community and identity. Since the organization’s founding in 2010 following the massive Haiti earthquake, Team Rubicon has responded to over 300 disasters and grown from eight to over 100,000 volunteer members. Team Rubicon has responded following Hurricane Sandy; the tornado in Moore, Oklahoma; Typhoon Haiyan in the Philippines; wildfire in Pateros, Washington; the 2015 earthquakes in Nepal, the 2016 flood in Louisiana and Hurricane Matthew, and most recently to Hurricanes Harvey, Irma, Maria, Florence, and Michael. A retired U.S. Naval Officer, Art served as Director of Strategic Planning at Northrop Grumman Aerospace Systems prior to Team Rubicon. He was responsible for coordinating sector strategy development; developing and analyzing strategic growth initiatives; and overseeing the long-range strategic planning process. Art served in the U.S. Navy for 22 years with notable tours including serving as an instructor at the Navy Fighter Weapons School (Topgun) and as the Commanding Officer of Strike Fighter Squadron TWO TWO (VFA-22). During his career, he made six deployments as an F-14 and F/A-18 Naval Flight Officer. In 2010, he was one of 12 senior Department of Defense (DoD) officers selected as a Secretary of Defense Corporate Fellow, a program that places officers in leading companies to glean best practices that may be applicable in DoD. In this capacity, he was trained by and served with McKinsey & Co. In his final military assignment, Art served as the Deputy of Strategic Policy, and as Systems Innovation Lead at the U.S. Special Operations Command. Art earned his Bachelor’s degree in physics from the US Naval Academy and a Master’s degree in operations management from the University of Arkansas. Jermaine Dykes is a Sr. IT Project Manager with over 10 years of Project Management/Information Technology experience. He has expertise in Project /Program Management and have shepherd projects that has encompassed $5M-$10M budgets in sectors including Government, Gaming, Hospitality, Education, and Telecommunication. Jermaine excels in focusing his teams on delivering value, especially in a fast-paced environment. 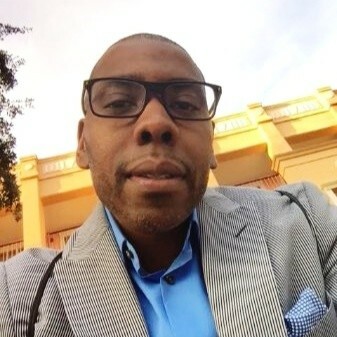 He is also an Adjunct Professor teaching in Project Management, Information Technology and Business Management graduate programs at UNLV and Colorado Christian University. Claire Robertson-Kraft, PhD, is the Founder and Executive Director of ImpactED and an instructor at the University of Pennsylvania. She has more than ten years of experience working as a teacher, evaluator, and non-profit leader in the Philadelphia region. She has extensive experience teaching research methods and conducting evaluations in the areas of education, public policy, positive psychology, social impact, and community engagement. Claire began her career as a third-grade teacher with Teach For America in Houston, which is where she discovered her passion for teaching. Currently, she teaches Quantitative Methods for Policy Analysis, Program Evaluation, and Capstone courses at the Fels Institute of Government and Education Policy Issues at the Graduate School of Education. She is passionate about bridging the worlds of research and practice. In 2009, she edited A Grand Bargain for Education Reform (Harvard Education Press), which provided practitioners with research-based strategies for implementing new teacher policies in urban schools. 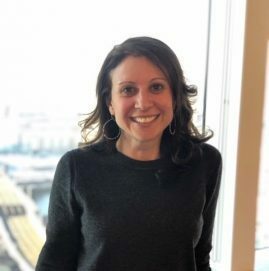 Since then, she has worked with numerous organizations in the Philadelphia region to evaluate their impact and use data to inform organizational improvement. Claire is also very active in the Philadelphia civic community, serving as the Co-Founder and Former President of PhillyCORE Leaders, former Board Chair of Young Involved Philadelphia and Russell Byers Charter School, and on the boards of YouthBuild Philadelphia and Leadership Philadelphia. 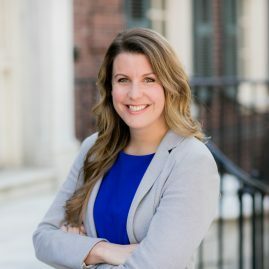 She was recognized as one of the New Faces of Philly in 2011, an Emerging Leader with the Forum for Executive Women, and a Leadership Philadelphia Connector and Keeper in 2014. Claire holds a BA in Urban Studies and Philosophy and a PhD in Education Policy, both from the University of Pennsylvania. When she’s not teaching or helping organizations measure their impact, you can find her swimming at Pottruck, biking on Kelly Drive, or eating out at one of the many delicious restaurants in her South Philly neighborhood. Meridith Polin, a senior officer at The Pew Charitable Trusts, directs the evaluation capacity building initiative of the Pew fund for health and human services in Philadelphia, which aims to accelerate the use of data for monitoring, learning, and evaluation purposes among select Pew fund grantees. Meridith is also a Leap Ambassador- one of 300 experts, leader practitioners, and instigators in the field of high performance. Meridith has a background in evaluation, strategic planning, and program development. Previously, she worked at Public/Private Ventures on projects that addressed the needs of vulnerable youth and their families. She also was the director of research and evaluation at Citizen Schools, a nonprofit that expands learning opportunities for middle school students in high-poverty areas, where she supported internal continuous improvement projects and external fundraising and public policy efforts. Meridith holds a master’s degree in community resources and development from Arizona State University and a bachelor’s degree in business administration from Boston University. She also holds an executive certificate in social impact strategies from the University of Pennsylvania.